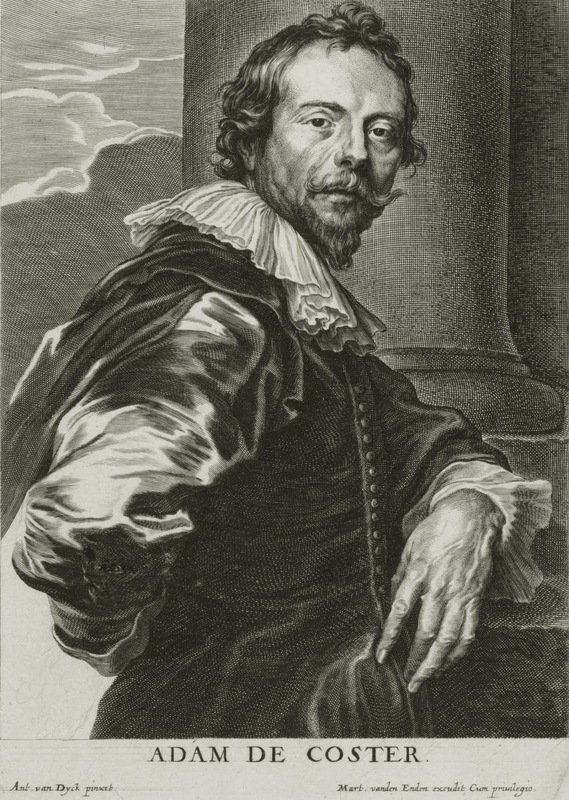 Little is known of the biography of Adam de Coster (1586 in Mechelen - 4 May 1643 in Antwerp). 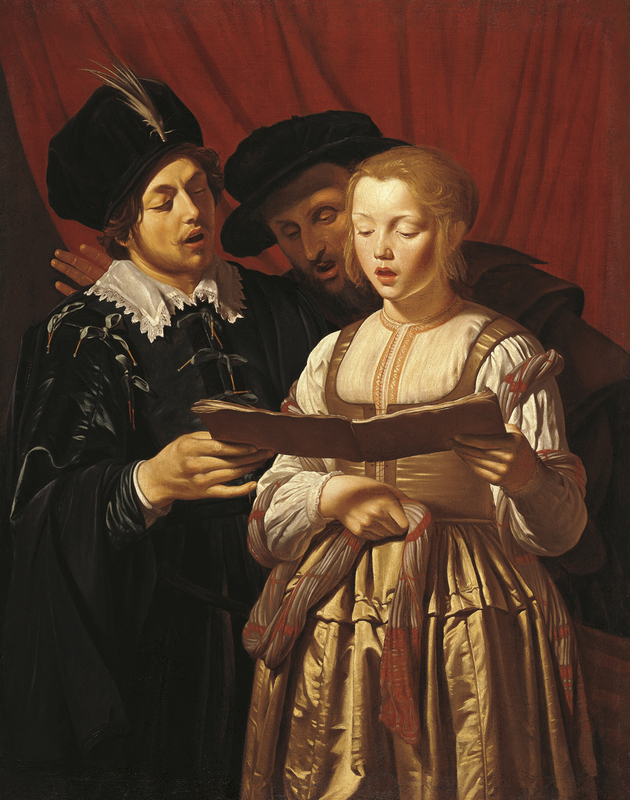 Born in 1586 in the Flemish city of Mechelen, a province of Antwerp, he appears to have spent much of his career in Antwerp and became a Master of the Guild of Saint Luke around 1607. His portrait was reproduced as an engraving in Anthony van Dyck's🎨 Iconography, where he was described as "pictor noctium", signaling that his reputation as a painter of night scenes had firmly been established in Northern Europe by the 1630s. 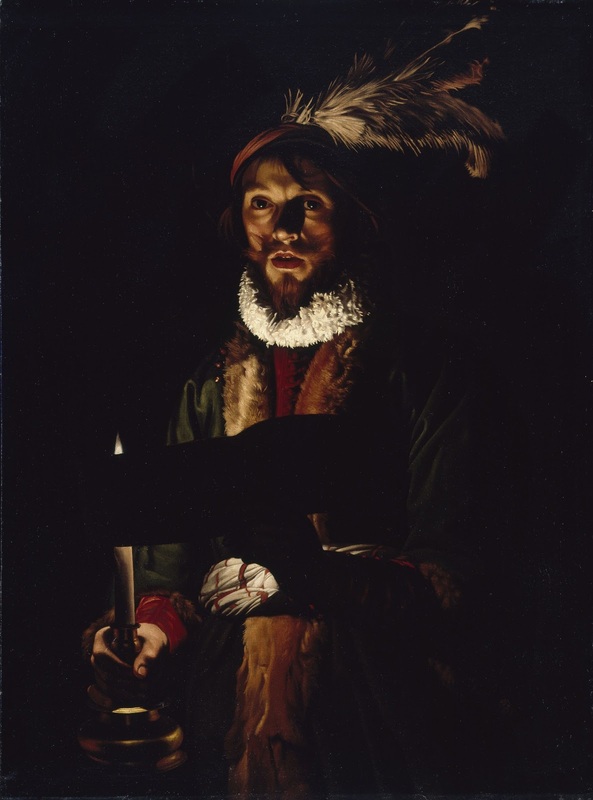 Although documentary evidence only ever records de Coster outside of Antwerp in 1635 when he visited Hamburg, Nicolson has noted that correspondences between his paintings and the works of the Lombard artist Antonio Campi suggest a possible sojourn to Italy. The idea of the artist's Italian travels becomes even more intriguing when considering the provenance of the present work, for it is said to have remained in a private collection in Palermo from the 17th century until the mid 20th century. 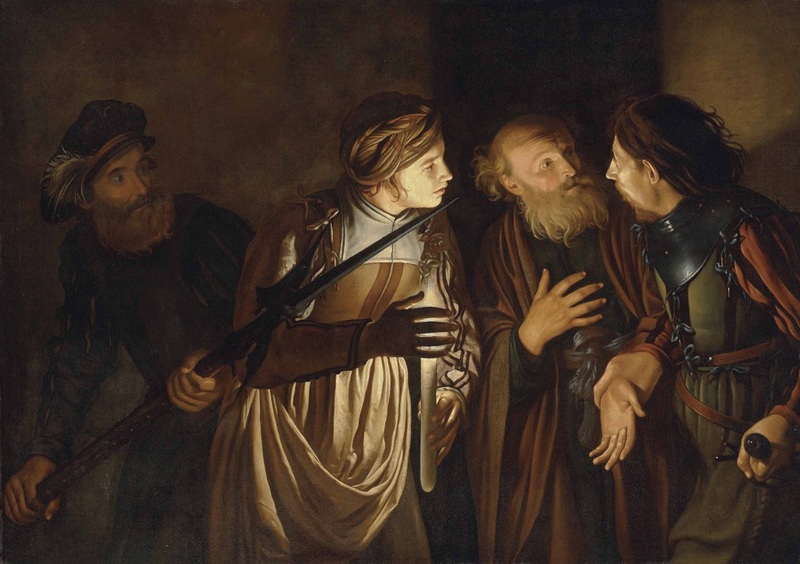 The model, in her fur-trimmed red dress with an elaborate white sash and a striped red turban, reappears in another painting by de Coster with possible Italian provenance, • The Denial of Saint Peter (private collection). 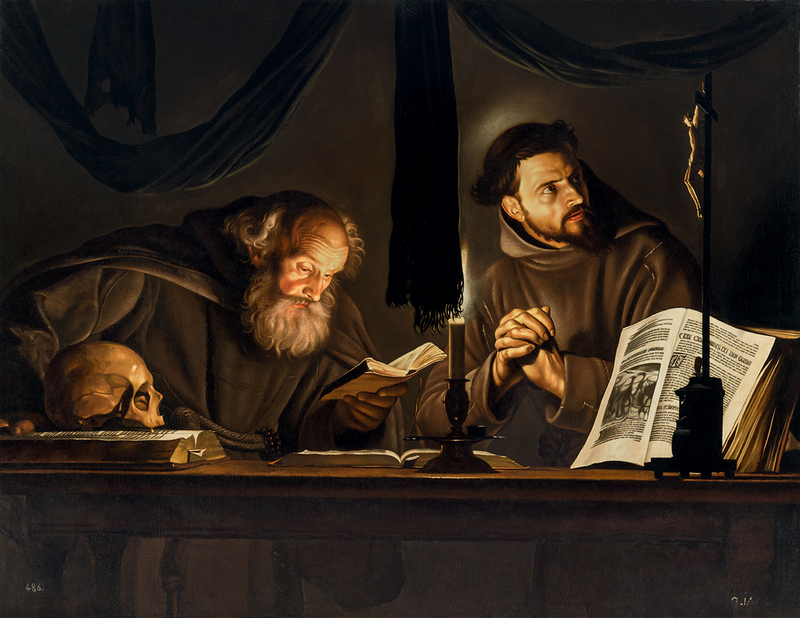 The stylistic similarities between these two paintings also suggest they were executed around the same time. That they both appear to have remained in Italy for centuries further hints at the possibility that de Coster may have once been active south of the Alps. 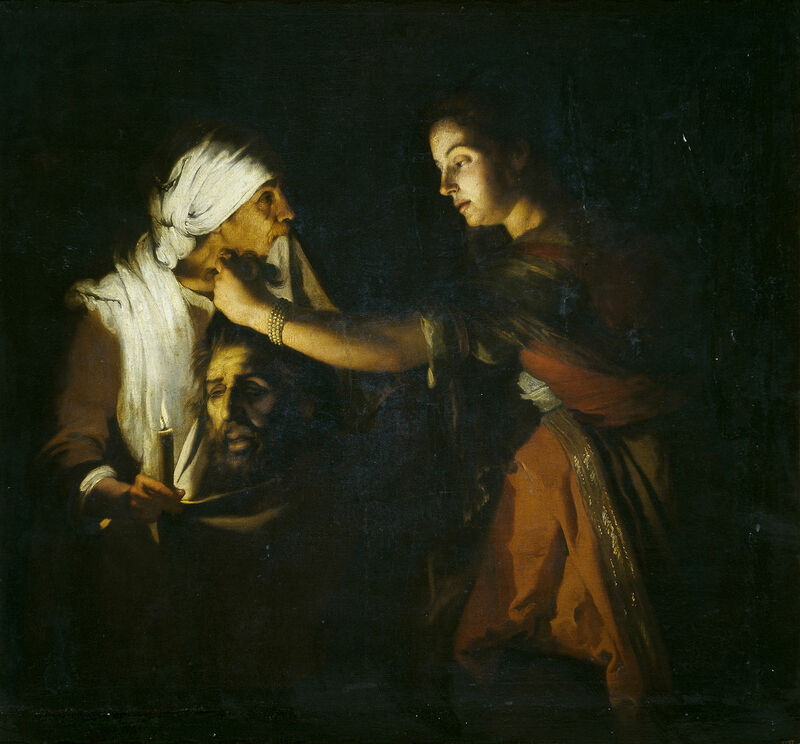 Whether or not he ever left the Low Countries, Adam de Coster undoubtedly was influenced by the Caravaggesque style that spread throughout Europe in the early 17th century. 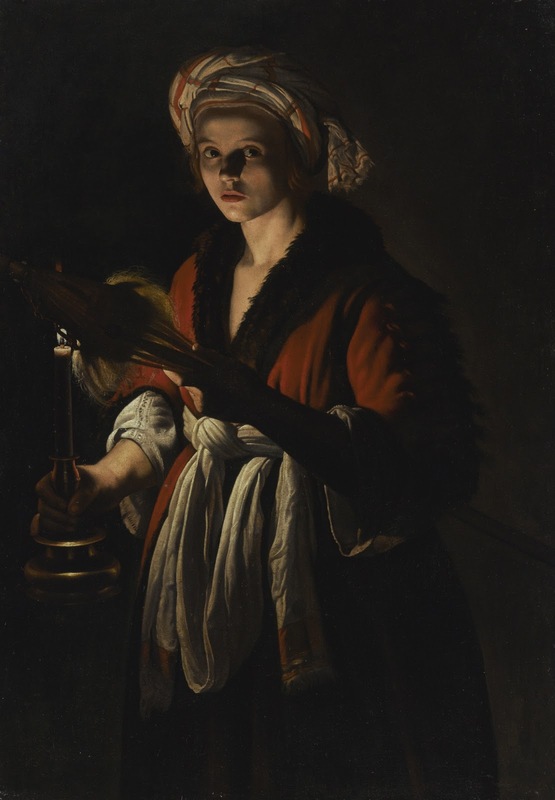 Particularly relevant are the works by Northern Caravaggisti such as Gerard Seghers, from Antwerp, and Hendrick ter Brugghen, Gerrit von Honthorst, and his student Matthias Stomer from Utrecht, among whom vivid chiaroscuro compositions, enhanced by an artificial light source such as a candle or brazier, were extremely popular. 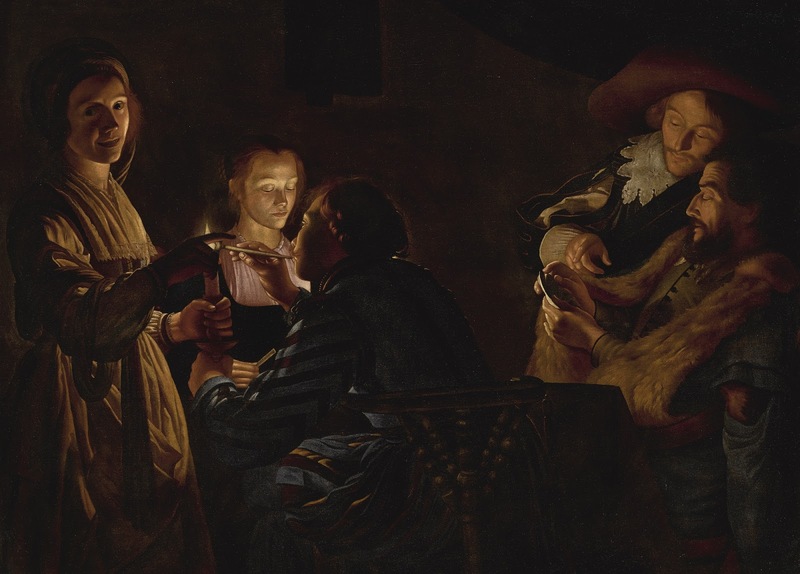 With this in mind, it is not surprising that attributions to Gerrit von Honthorst and Matthias Stomer were once proposed for the present painting, which for centuries acted as a pendant pair to Matthias Stomer's Cavalier lighting a pipe from an oil lamp (private collection) while both paintings hung in the Palazzo Galati in Palermo. Coster, Adam De (Mechelen, 1586 circa - Anversa, 1643) Raro caravaggista fiammingo; pittore anche di scene di genere🎨 e soggetti storici. Nel 1607-8 diviene Maestro nella Gilda di S.Luca in Anversa. Nel 1635 è documentato ad Amburgo. Il viaggio di studio in Italia non è certo anche se il Nicolson sottolinea affinità stilistiche tra l'artista e il pittore Antonio Campi in Lombardia. 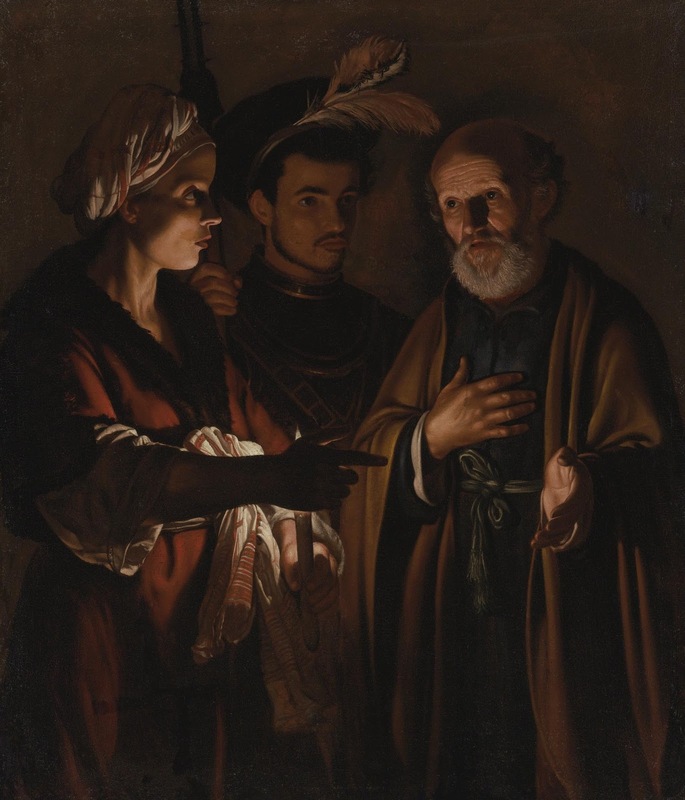 Contemporaneo di Theodor Rombouts e Gherard Seghers, entrambi caravaggisti, e influenzato da Honthorst, De Coster dipinse alcuni notevoli quadri al lume di candela raffiguranti scene di genere con effetti notturni dipinti con grande realismo. Lucas Vosterman ha eseguito incisioni dalle sue composizioni. Pochissimi i dipinti firmati.